The Sky Theater is approximately 50 feet in diameter, surrounded by a hemispherical projection dome also 50 feet in diameter. 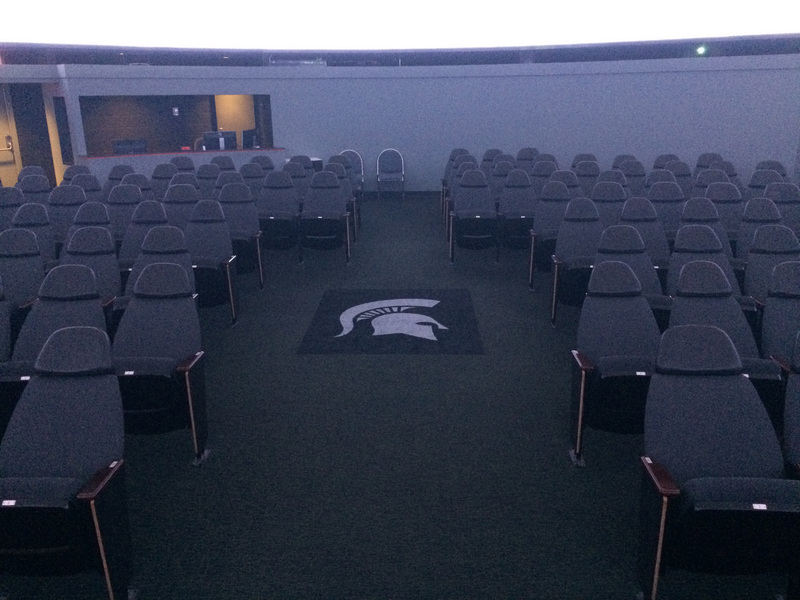 The dome is made of white-painted, perforated aluminum and serves as the projection screen for the Digistar star projector and various projectors previously used throughout the theater. 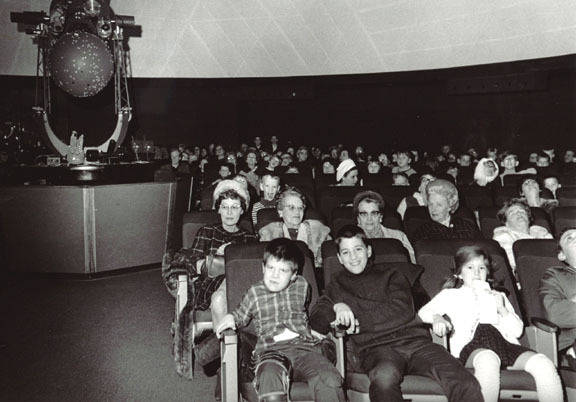 The Sky Theater was known as the Planetarium Chamber when the planetarium first opened. It originally housed the Spitz ISTP projector. Renovations in 1994 brought in the Digistar star projector along with added slide and video projectors to the theater. 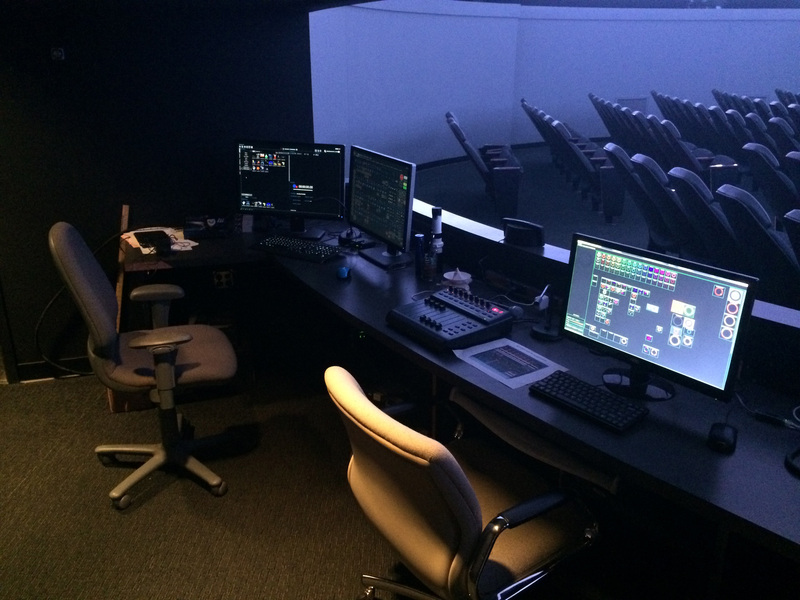 In 2014 the Digistar II was upgraded to the Digistar 5 system. In 2017 we upgraded to Digistar 6. One hundred and forty upholstered, theater-type seats are arranged on the carpeted floor of the theater. The tilt of the seats varies from row to row, permitting the entire audience to view the same portion of the projection dome. The Control Console, located in the rear of the theater, is the control point for the images and sounds presented during the shows. 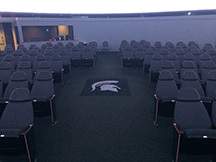 Ringing the theater is a projection area which allows for the placement of the Digistar video projectors and other instruments used during the presentations.